School of Information Studies (iSchool) Associate Professor Scott Nicolson delivered the opening colloquium for the Comparative Media Studies program at the Massachusetts Institute of Technology (MIT), where he is currently a visiting professor. Nicholson’s talk, “From Settlers to Quarriors: Breaking up the Monopoly with Modern Board Game Design,” focuses on the explosion of innovation in board game styles and mechanisms over the past 20 years. These modern board games, Nicholson says, are more engaging experiences and based less on luck than the typical roll-and-move board game design prevalent in the 20th century. The MIT Comparative Media Studies program will host Nicholson for the 2011-12 academic year, where he will work with the Singapore-MIT GAMBIT Game Lab, a collaboration between MIT and the government of Singapore created to explore new directions for the development of games as a medium. 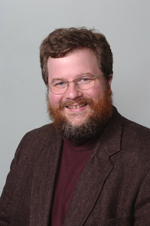 At the iSchool, Nicholson’s work has focused on games in libraries and game design as a pedagogical tool. He was the host of Board Games with Scott from 2005-2010 and is the designer of Tulipmania 1637, a board game published in 2009. In addition, he is the author of “Everyone Plays at the Library: Creating Great Gaming Experiences for All Ages,” published in 2010 by Information Today.